Tina aflame. 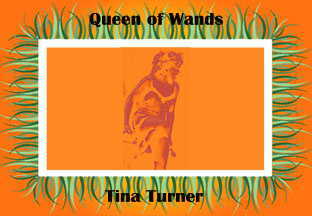 The Queen of Wands embodies the power of fire. She is hot, in every possible use of that word. Highly energetic, highly alive, she can burn you like a cinder if you're not ready for her.